The Department of Irrigation and the Vadamarachchi North Fisheries Federation have jointly organized an awareness campaign to tell the villagers about the positive and negative impacts of the proposed reconstruction of the destroyed sluice gate at Thondamannar lagoon. The campaign has been supported by the TEEDOR of the Liberation Tigers of Tamil Eelam, sources said. 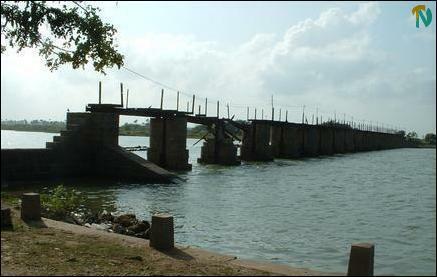 A team of officials and activists Saturday met with the representatives of the Fisheries Societies in Karaveddy-Chinthamani, Thondamannar and Kerudavil areas and enlightened them about the proposed project to reconstruct the destroyed sluice gate, sources said. Fisheries representatives told the team of activists that the sluice gate could be reconstructed after ensuring alternative employment opportunities to about 560 fisher families who are now engaged in fishing in Thondamannar lagoon. During the discussion several suggestions were tabled including allocating paddy lands to fisher families after the reconstruction of the sluice gate and also to encourage fresh water fishing in the villages. A portion of the destroyed sluice gate is located close to the Palaly high security zone, sources said. The sluice gate before its destruction played a dual role not only preventing seawater entering into the villages but also allowing the floodwater flowing from the landside into the sea during rainy season. Wells in the area have become saline and the people have been deprived of good drinking water. Kapputhoo village has been badly affected due to this, sources said. 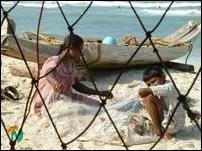 21.06.03 Creeping salinity damages 4000 hectares of Jaffna fertile la..